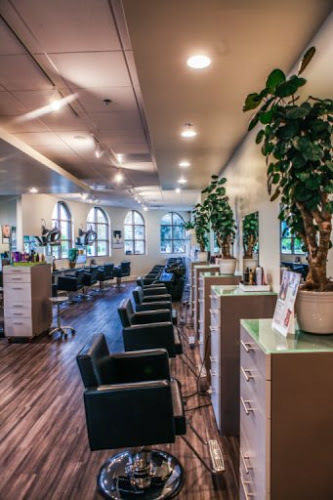 Located in historic San Juan Capistrano, Daniel Michael Salon is an upscale salon destination devoted to creating the perfect hair for your lifestyle. Daniel Michael Salon opened in February 2004 and is currently located at Ortega Ranch Plaza. Over the last fourteen years, have earned a reputation for exceptional customer service, classic as well as creative haircut and color techniques and high quality styling. We constantly evolve our stylists' skills and expose them to the latest techniques through our extensive education program. Experience the Beauty Within Yourself at Daniel Michael Salon. Oribe Hair care was created by celebrity and editorial stylist Oribe. Products that blend natural extracts with top technology to create a paraben and sodium chloride free, UV protecting, color and keratin treatment safe collection tailored specifically for your hair care needs. Oribe has products for everyone, every hair type, to moisturize, add volume, create shine, protect your color, repair and restore, enhance curls and to tame rebellious hair. Since its creation, L'Oreal has been committed to providing salon professionals with only the best in art, technique and technology. Each day, they strive to provide new development opportunities for US hairstylists through superior products, innovative marketing, advanced education and access to a worldwide network of leading hairdressers. We know salon clients choose the look they want for their own fashion identity and, as hairdressers, we must provide the expertise to meet their vision. Using the right TIGI products, we can achieve the perfect hairstyle to reflect the fashion image and personality of the individual. Our goal is to provide a welcoming environment for our clients. We contribute to the ongoing education of our staff by hosting quarterly hands-on advanced classes with L'Oreal, TIGI, or Oribe. We also enjoy bringing our staff together to create new images for our salon portfolio with photo shoots. This enables our stylists to have knowledge of the current trends in the beauty and fashion industry. Our in-salon advanced education classes allow us to offer specially-priced color and haircuts every Monday with our junior stylists. If you are interested in joining our team, we would love to meet you! Please come by the salon with your resume and portfolio.